I can hear you now. "Nobody writes a restaurant review about Denny's!" Okay, you're right. But, just hear me out. Denny's is one of my granddaughter's favorite places. That means something important. After all, she's an expert in the art of having fun. This story actually begins several years ago, well before she was even born. When her mother was about her age. One day, we all piled into my father-in-law's car and set-off on a roadtrip to California. This is when I learned more about Denny's than I ever really wanted to know. You see, my wife's dad was totally addicted to Denny's. He loved their coffee and everything else. So, we ate every meal between Texas and California at Denny's. Which wasn't all that hard to do. Seems one would be coming into view just about time for breakfast, or lunch, or dinner, or coffee break, or rest break, or snack, or...well, you get the idea. And, lucky for us, they are open 24/7. Guess my granddaughter comes by this Denny's thing naturally. Must run in the family. Anyway, whenever we are out, Denny's is her first request. When we arrive, she heads straight for the counter. Sitting on that stool, watching all those plates of food materialize thru a window, then to be whisked away is kind of interesting. And, there is the coloring and games. 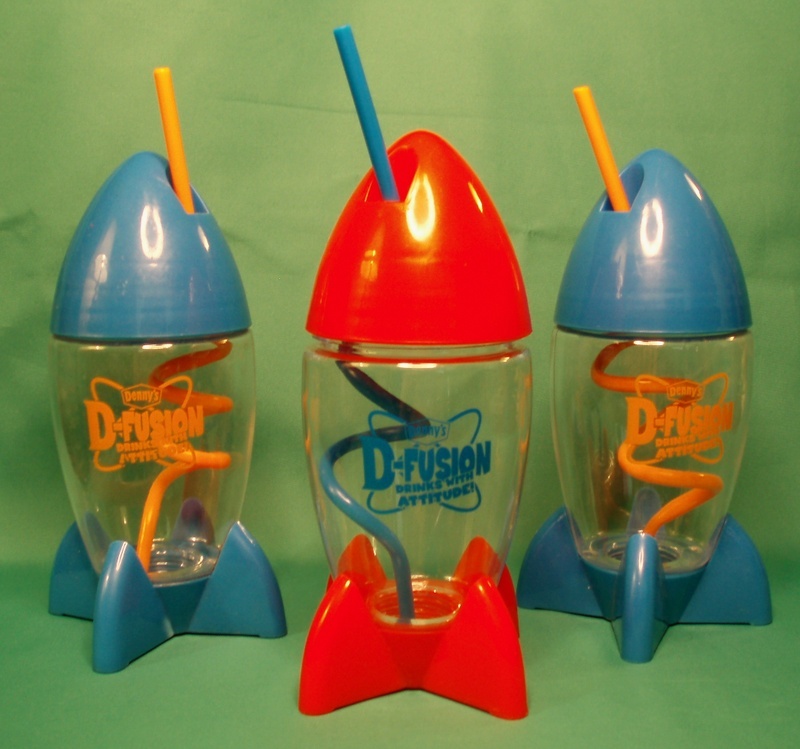 But, the main attraction is probably the Denny's drink rocket. It comes with some kind of fizzly stuff she can pour into her drink. Afterwards, you can take the rocket home (for a price, of course). In case you haven't guessed, the photo is of some of my granddaughter's growing rocket collection. I always order the same thing - a breakfast item (a survival tactic I learned during our California trip). She always orders her favorite - kid's cheese pizza with grapes. So, why wouldn't all this be fun for a kid? Sounds like we have all the ingredients - spinning on a stool, coloring and playing games, drinking some fizzly concoction out of your very own rocket ship, eating pizza, and squirting grapes. I think all of that should qualify as fun for any kid. Oh, yeah. I almost forgot our concluding treat - a shared strawberry milkshake. I guess the place isn't that bad after all. Next time, you need to entertain a kid (and all the McDonald's are closed), think Denny's. It ain't that bad. If you haven't yet discovered the Arlington Highlands Mall then you are in for a real treat. The place is packed with great merchants, great restaurants, and a great movie theatre (Studio Movie Grill). Better yet, Phase II of the Highlands is underway. To see some of these new attractions, check this page, Announced New Attractions. 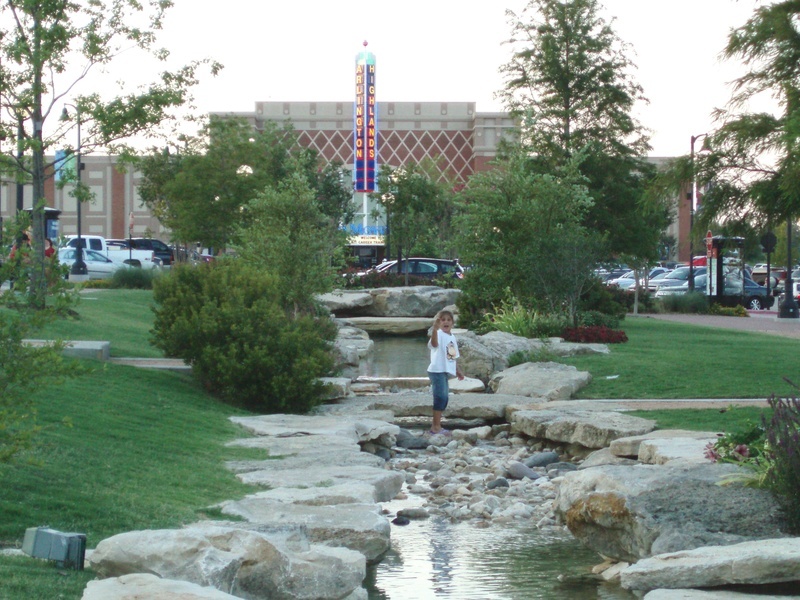 This outside, lifestyle mall is one of our favorite places, especially for my granddaughter and I. It has everything we like. A PetsMart, a Borders Book Store, and a Cold Stone Creamery. But mainly, it's the wonderful water feature that keeps drawing us back again and again. For trips to the Highlands, our routine is set. First, we visit the PetsMart, spending a little time with every single creature. Then its to the water feature. There, our hours pass too quickly. And, we are never alone. People love this water setting. It is peace amidst the storm. So peaceful, it is where a man walks his dog, children play, ladies dangle their feet in the water, and I brush up on my long forgotten yo-yo skills. Next, comes Borders. Now, it is time to get down to some serious shopping. 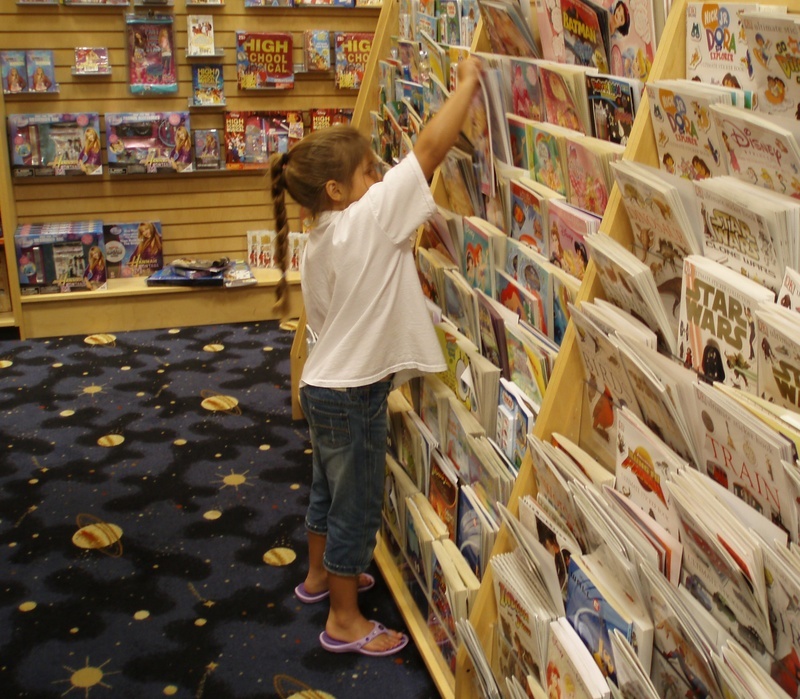 And, they just happen to have a very nice kid's section, too. When our work is done, it is time for a reward - a nice stroll down to the Cold Stone Creamery. Naturally, we (and everyone else) enjoy our ice cream while sitting on one of the benches that line the water feature. Another short stroll and we are in the car headed to our next great adventure. With slight alteration, you can turn our routine into a strolling dinner and movie (at the same place), ice cream, and water feature date with your significant other. It is a really nice place to be busy and unwind all at the same time. You can locate the Highlands on my Major Area Attractions map. So, now I am a The Incredible Hulk movie reviewer? Not! But, in the spirit of this blog...fun...I can't resist writing about some of the really great movies that come along. Science fiction, of course. Why just science fiction? I suppose it's my Dad's fault. More on that in a minute. But, if a good war movie comes along, or a Westerner, those could qualify. Mainly though, just science fiction. It all started back in 1955. I was only 10 years old. There was a typical, little, one-screen movie theater in town. That's where all us kids went on Saturdays (usually to see more action in the rear seats than on the screen). I hardly ever went there on Saturday nights. I suppose because we had Church the next morning. But, one Saturday night, that I'll never forget, my Dad took me to see a special movie. It was the science fiction thriller, The Thing. I loved it. And, I haven't been the same person since. Today, I own almost every science fiction movie ever made. I'm not missing many. Although, for years I could not find the original, The Thing. My good friend Glenn Day came to my rescue. After watching it again, nearly 50 years later, I could see how it could make such an impression on a 10 year old kid. My collection also includes almost every episode of every science fiction TV series. We are talking serious Star Trek here. I never missed an original episode on TV. Alright, enough reminiscing. We are going to need some grading guidelines. Naturally, since I have two thumbs, I was thinking about one or two thumbs up, or one or two thumbs down, or one up and one down? But, should my right thumb carry more grading weight since it is the strongest? When I'm really undecided, should I just leave my thumbs in my pocket? I don't know how those guys on TV ever figured all this stuff out. Maybe they were born with just one thumb? Aliens? Well, I've never seen a bad sci-fi movie. Even Ed Wood's Plan 9 from Outer Space kept me awake at night (or, did I mean put me to sleep). So, all that grading stuff doesn't matter anyway. OK, now that we have all those preliminaries out of the way, here is my very first sci-fi movie review. The Incredible Hulk, it is a really great movie. Drop everything, and go see it now! There you have it...just the essentials...everything you need to know about a really great movie. By the way, has William Hurt gotten old or what? And, has Liv Tyler grown up or what?! And, did Tim Roth really look like a war-hardened vet? That wimp? Not hardly. Still he's a great actor. And, so is Edward Norton. Two of my favorites. Hey. 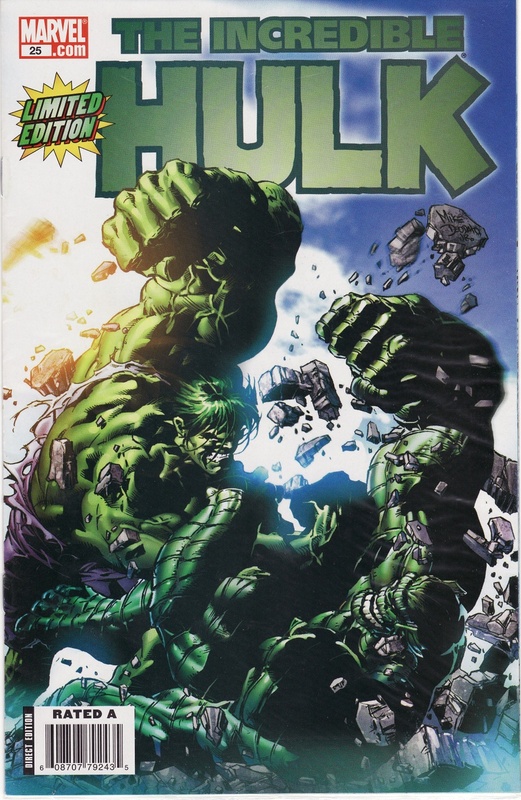 I've got some Incredible Hulk collectibles in my eBay store, including the comic in the photo. Check 'em out. OK, I confess. I'm a nut for 1950's stuff. Historic Route 66 stuff. Ice cream stuff. And, more. All of that fun stuff, in lots of ways, reminds me of a very happy childhood. So, while on a visit to Rolla, Missouri, it could be expected that a friend would share that all of that stuff could be found in town under one roof. Well friend, it wasn't long before I was on the hunt for a place named Steak 'n Shake. And, there it was. Sitting on old Route 66 in all its fabulous 50's black and white, glass bricks splendor. 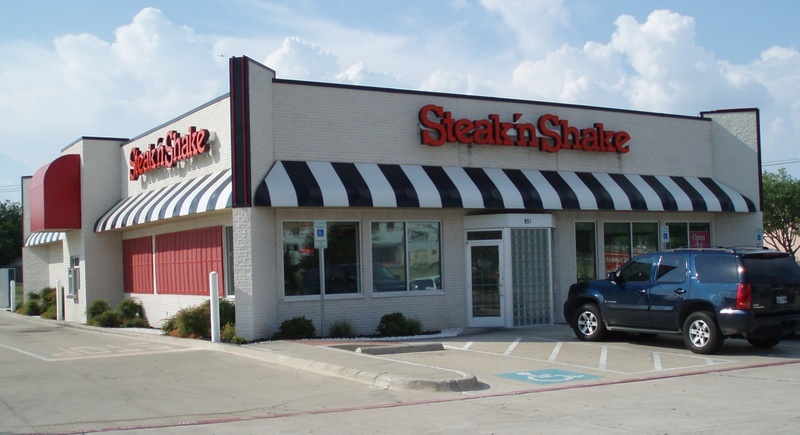 A few years later when the announcement came that Steak 'n Shake would be opening in Arlington, you can't imagine my excitement. I was one of their first customers. In fact, I've spent a lot of time there. They are open 24/7. This photo is of their first restaurant here. A little different than one of those originals, like in Rolla. But, the food is the same. So, here is the lowdown. The menu is all-around tasty. The chili is a nice change of pace from our southern-style. The coffee is great. But, it's the milkshakes that are spectacular. They are the best. No one else even comes close. So, I recommend always getting one (or more) to go. Thankfully, there are two in town. You know. In case a meteor hits or something, maybe one will still be open. Well, you get the idea. Check 'em out. Click this link, Fun Places To Eat, for a map and link list of Steak 'n Shake and other fun place locations. And, this link for more Restaurant Reviews. 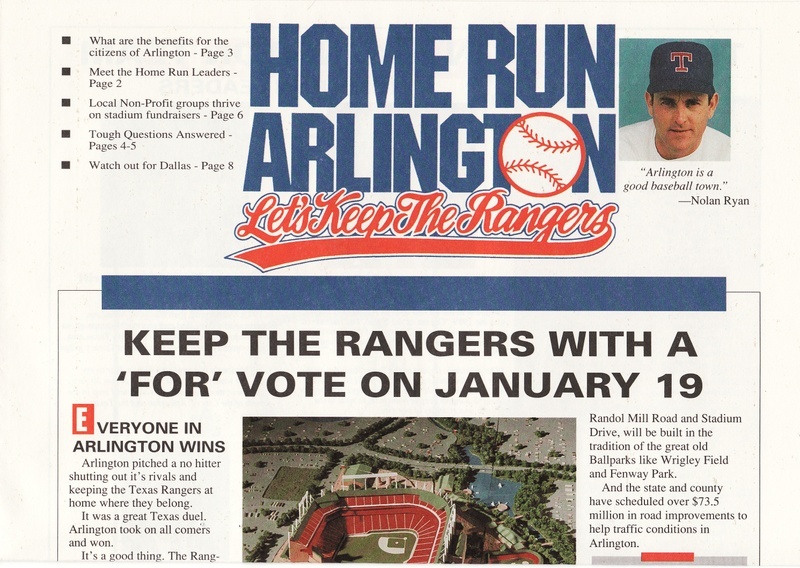 In case you didn't know, back around 1990 the City of Dallas was actively bidding to lure the Texas Rangers Ball Club to move from Arlington to a proposed new ballpark location in downtown Dallas. Confirmation of this came years later from a Dallas official during a bus tour of urban Dallas redevelopment. He pointed out the site that Dallas had purchased during its bid attempt, near the Farmer's Market, to me and the entire bus full of Arlington officials. When news got out, the threat of losing the team spurred a massive effort to build a new ballpark to keep the Rangers in Arlington. 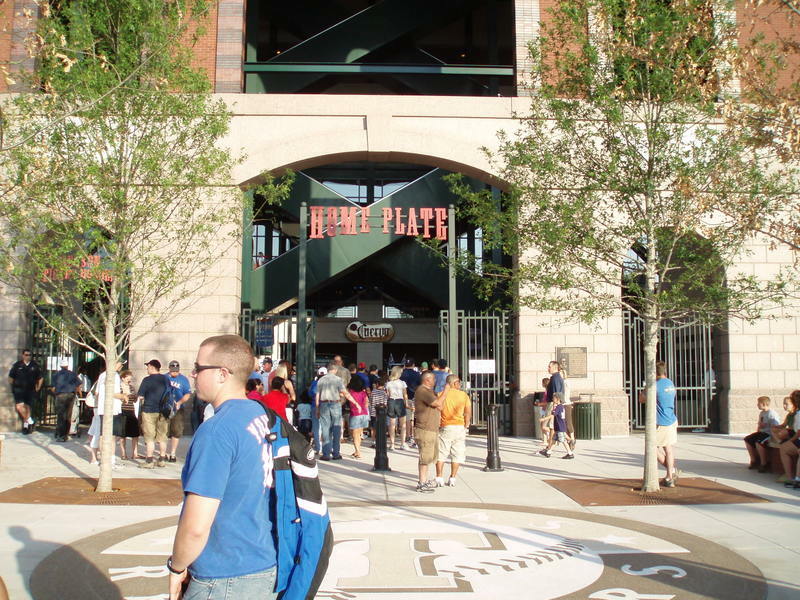 A campaign to help finance the new ballpark was commenced. The election was hughly successful with more than 65% of voters in favor. 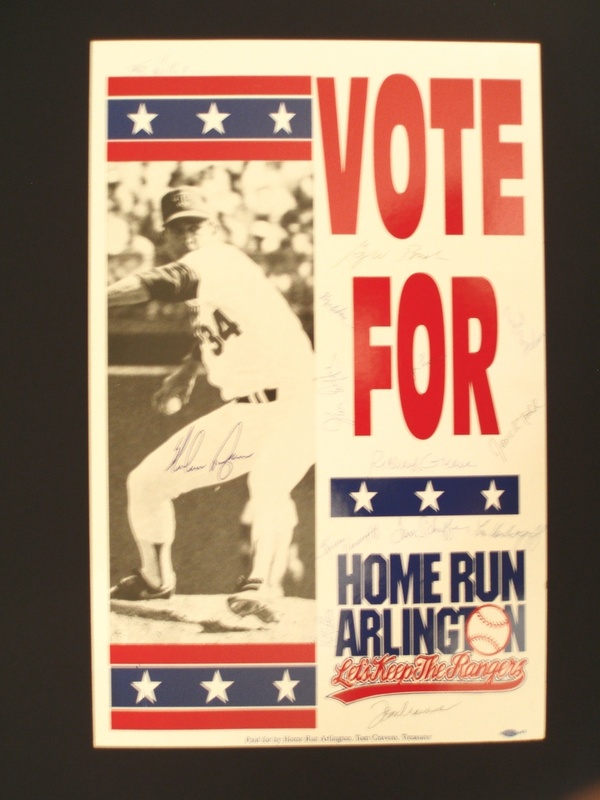 I had the honor of being a co-chair of the Home Run Arlington campaign committee. During and after the campaign, I had the opportunity to receive some very important personal momentos of that historic event. I would like to share my photos of these priceless treasures with you. 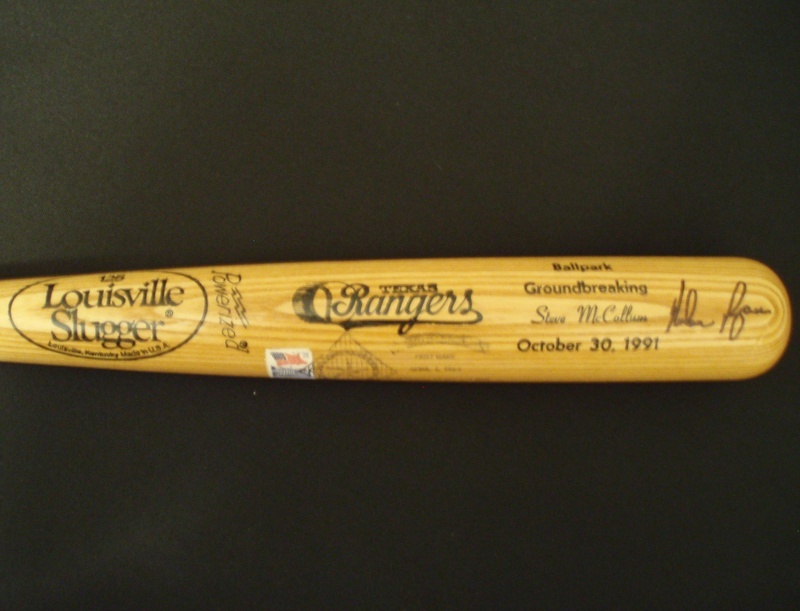 The first is a personalized bat given to all those involved in the campaign to commemorate the Ballpark Groundbreaking on October 30, 1991. On April 1, 1994, I had my bat USPS cancelled at Rangers Station, the day of the first game in the new ballpark. And, yes, that is Nolan Ryan's signature. I am certain that there is no other bat like it. The next is the campaign yard sign. Again, there is no other like it. On the evening we celebrated the campaign victory, I had all those who were on the committee and the team owners to sign my yard sign. There are many notable, outstanding signatures. But, two certainly deserve mentioning - Nolan Ryan, later to be inducted into the Baseball Hall of Fame, and George W. Bush, later to become Govenor of Texas, and President of the United States. What a treasure this sign is to me. I hope you enjoyed seeing these items and reading this brief account of a turning point in Arlington's history. If you are interested, I have a momento of this event - the Home Run Arlington campaign brochure - available in my eBay store. It is a really nice, four-color depiction of everything going on at the time. And, it includes many photos, including two full-color ones of Nolan Ryan. It is the second image pictured above. If you plan to visit the Ballpark, check out my Everything - Texas Rangers page for lots of useful links, plans, maps and information. And, this page, Everything - Entertainment District, for all the fun places around the Ballpark. OK, it's not in Arlington, but it's close. And, the Oasis Restaurant and Lakeview Bar is easily one of the most fun places to eat in this part of the Metroplex. 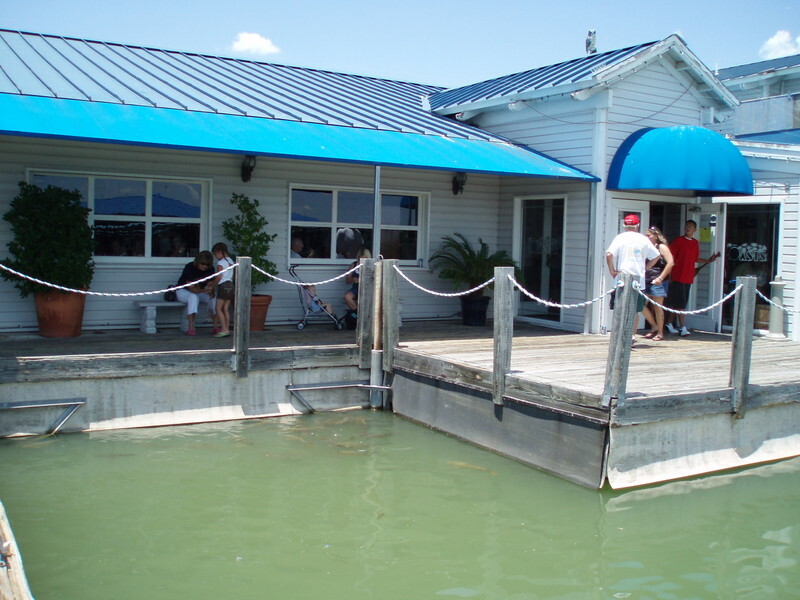 The Oasis is part of the Lynn Creek Marina located toward the southwest end of Joe Pool Lake. The view of the lake and marina is soothing. 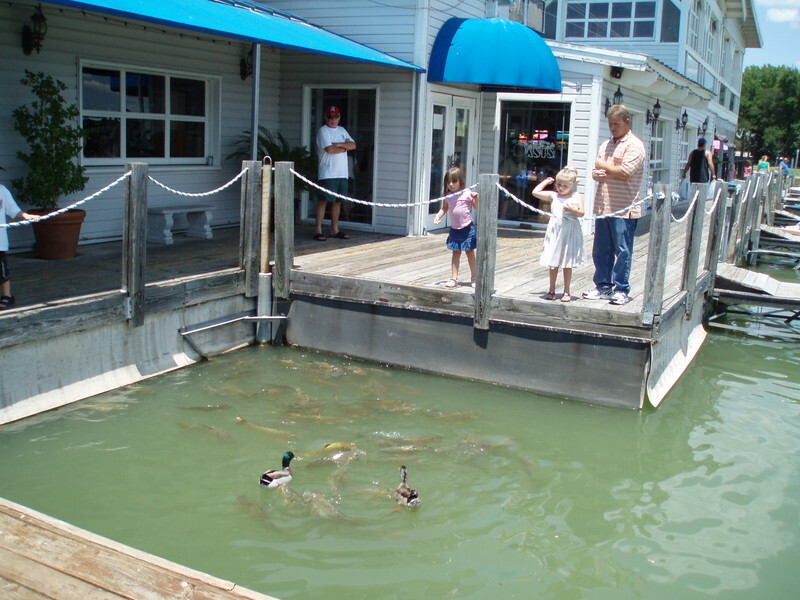 Boats of all sizes pass right before you as you dine. The sound of the water is all around. And, the wooden floors add to the charm and character. The food is great, and the wide selection means you can go back again and again. But, the real fun is outside. Bring the kids and lots of old bread, or crackers, or anything edible. Because there are always lots of hungry ducks. And, that ain't all. There are millions of hugh, hungry carp. The show they put on for you and the kids is more than worth the price of a box of saltines. They work hard for just crumbs. We have taken the kids out there many times, and we'll go back many more. It is always great fun. So, go south on SH 360 past I-20. At Camp Wisdom go east. At Lake Ridge Pkwy. go south. As the lake comes into view, look for a left exit. It will be the last (second) left exit before you get to the lake. You and your kids (and the ducks and carp) will be glad you did. 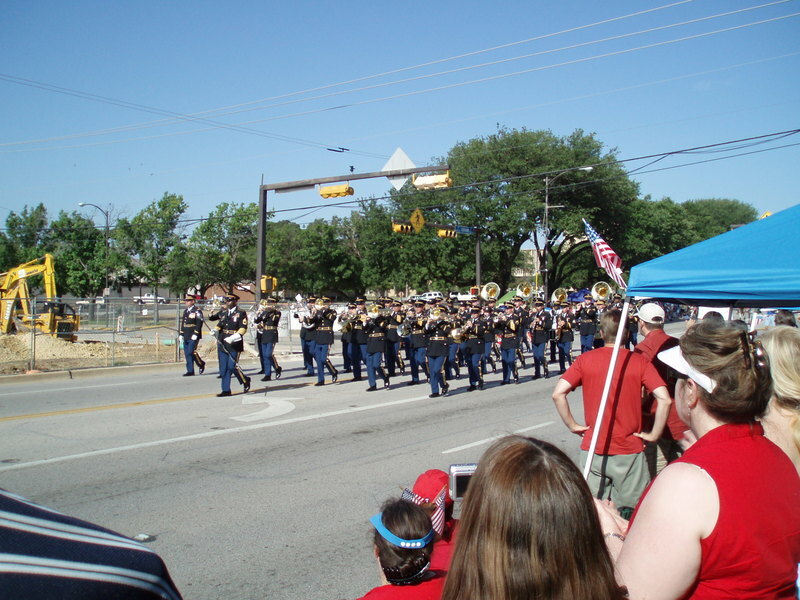 This is the first year in several that I have gotten to watch Arlington's Fourth of July Parade. 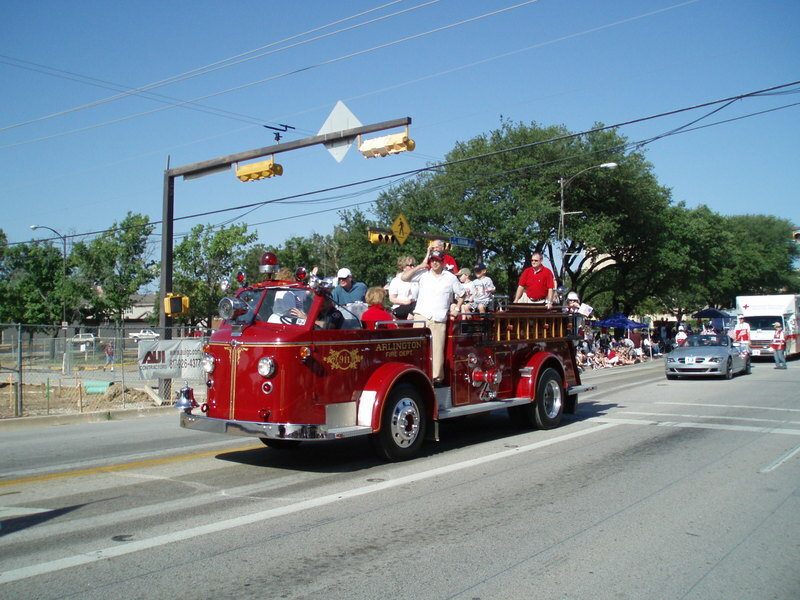 For the previous eight, I and Lavell and Hannah rode in the parade on Fire Engine #1 with my City Council colleagues. Hannah, thanks to Councilman Gene Patrick, got to ride again this year. That means she has participated in the parade on Fire Engine #1 every year of her young life. A record, I'm sure. The day starts early. City Hall at about 7:00 AM for breakfast. That is longtime parade volunteer organizer Lynda Freeman chatting with former Mayor Elzie Odom. 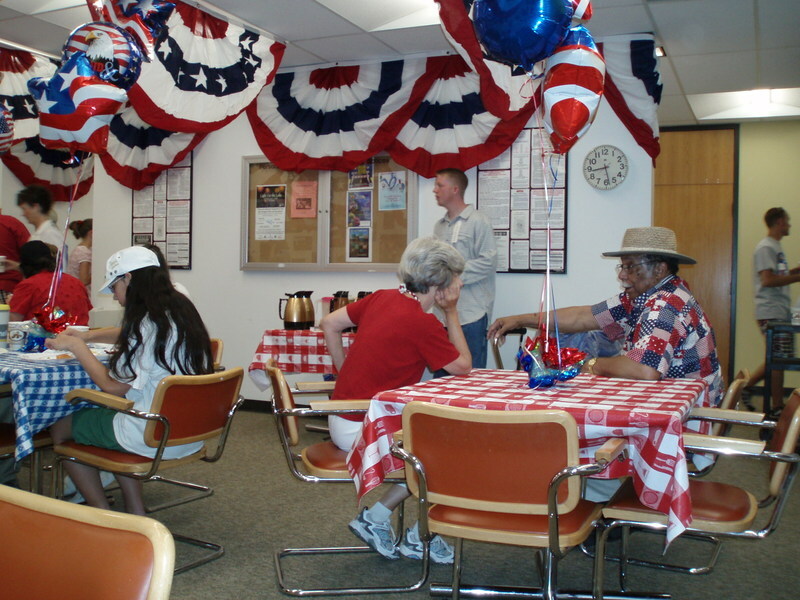 The decorations are plentiful, and the atmosphere is as patrotic as can be. The volunteers are pretty perky - this is a day they have worked hard for, really hard. Riding on that fire engine was one of the highlights of my Council service. Waving to the great crowds (around 30,000) of well-wishing, parade loving patriots was uplifting. There are babies, children, teens, adults, and elderly of every color, race and ethnicity. Dogs, too. This is America, ain't it great! I would wave, and they would, too. In fact, over the course of the parade I would have to change waving arms several times, rotating from one tired arm to the other and back. It was pretty hot, too. I'm sure glad I had the priviledge. Today's was the 2008 43rd Annual Parade. There were 125 entrants. About right compared to a few years ago when there were 180. It is hard to appreciate the countless hours that volunteers give to make this parade a reality every year, year after year. So, from this little corner comes a great big Thank You! for all your years of serving our community and the parade lover in all of us. You know how couples are always sneaking off for those romantic weekend getaways? They go to Grapevine to that big new hotel-resort (can't remember its name). Or, to that big city to the east (can't remember its name, either). And, there they spend tons of money - enough to spoil anybody's romantic weekend. Well, here is the good news - you don't have to leave Arlington to have your romantic weekend getaway. It is right here under your nose. Been here a long time, too. Just down the street. 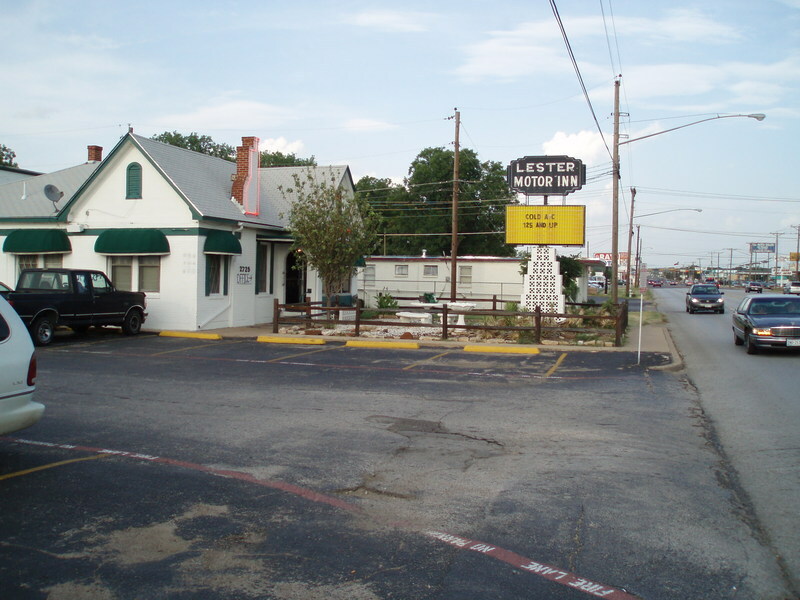 Your romantic Arlington weekend getaway starts right here - at the Lester Motel. That's right, down the street on West Division. Now, if the name sounds familiar, it should. 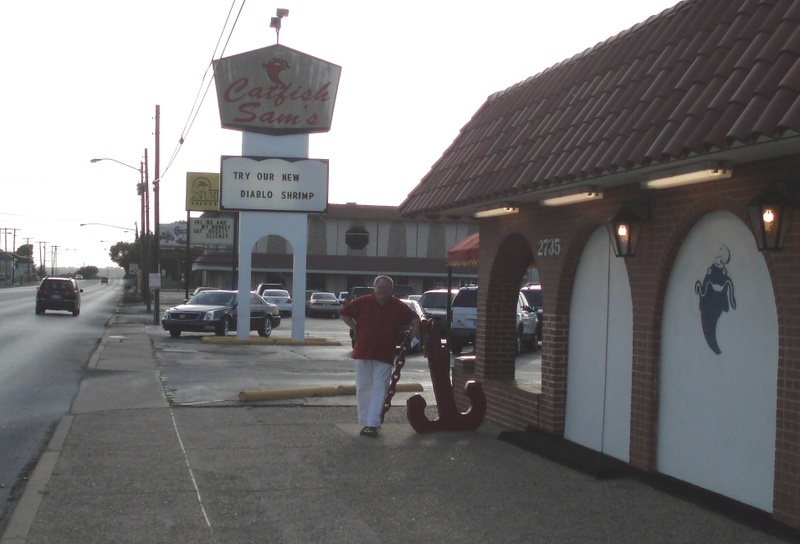 It's Lester, as in Sam Lester, as in Catfish Sam's . Sam's parents bought a big tract of land here in the 50's. So, all you have to do is check-in at the Lester, then walk next door to some of the most heavenly, most tasty, most romantic catfish this side of the Mississippi. If you are really lucky, you will get to meet Sam's Pinto Beanman. You might even get to walk with him from the motel. He and his wife have lived in the same Lester Motel room for thirty years. It is the Pinto Beanman's job to cook those delicious, bottomless pinto beans. Of course, Pinto Beanman is not his real name. We have to protect his true identity, because he would obviously be a hostage target (Sam's has a lot of competitors). But, wait. Your weekend is only beginning. Next door to Catfish Sam's is Stumpy's Blues Bar (all on Lester family property). Now, you and yours can party until the wee hours. When you are ready to call it quits, it's just a short crawl to the sack. There you have it - beans, blues and bed on a budget. In fact, this whole romantic weekend probably cost less than the gas to drive to any of those other places.